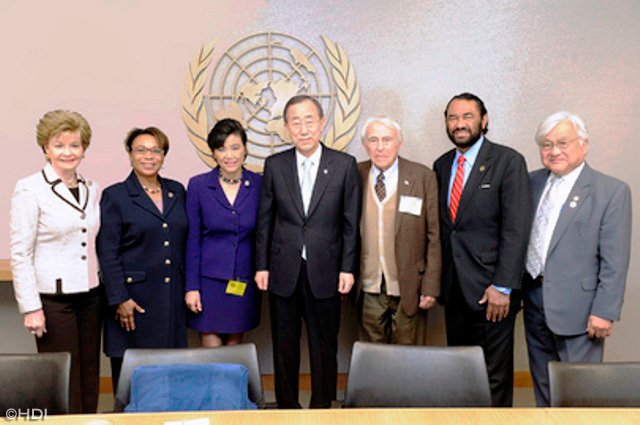 Humpty Dumpty Institute : Congressional Delegations, 34th Delegation to the U.N.
< 35th Delegation to U.N.
On Monday, March 28th, the Humpty Dumpty Institute hosted the Congressional Asian Pacific American Caucus to the United Nations Headquarters. The delegation included the leadership of the Caucus (see participants list) and senior staff. The day’s program focused on Asian and Pacific Island issues within the U.N context. The program started with a working breakfast at the Millennium Plaza Hotel at which several Asian ambassadors accredited to the United Nations attended and engaged in a lively dialogue with the Members of Congress. 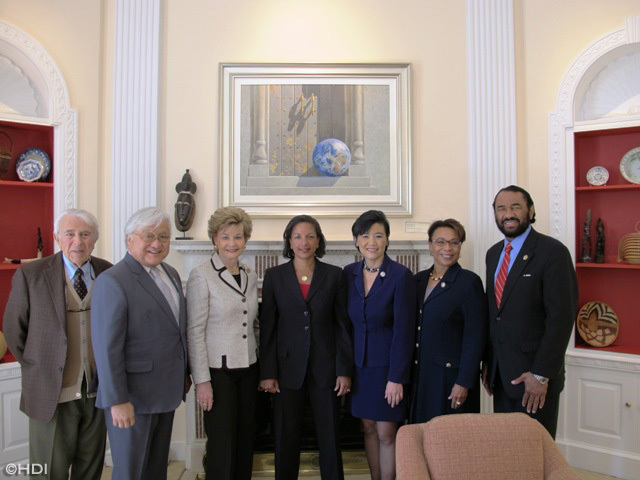 Congresswoman Judy Chu, Congresswoman Barbara Lee, Congressman Mike Honda, Congresswoman Madeline Bordallo, and Congressman Al Green gave warm welcomes and expressed their hopes for continued dialogue and collaboration. The Permanent Representative of the Republic of Singapore, Ambassador Vanu Gopala Menon, spoke on behalf of the assembled diplomats. He addressed the importance which the Asian block of nations within the United Nations places on global health and development issues. He also thanked the Congresspeople for traveling to New York City to gain firsthand knowledge of the work of the United Nations. In addition, Ms. June Kunugi, the Deputy Director of Public Sector Alliances for UNICEF, discussed UNICEF’s work in Asia and the Pacific. She gave an encompassing overview of how UNICEF is striving to have universal vaccinations in the area and explained recent successes and setbacks. After the breakfast, the delegation walked to the United Nations where their first briefing was conducted by World Food Programme officials Deborah Saidy and Pedro Medrano. Ms. Saidy and Mr. Medrano explained the WFP’s commitment to address food security issues, and responding to extreme disasters in the many different countries it works in. They also spoke about the importance of adapting the food to local taste, as well as working with each country’s resources in order to create the most efficient response to the disaster at hand. Following the WFP presentation, Assistant Secretary General Robert Orr gave an overview of the United Nations to the delegation. He emphasized how working within the U.S. system could assist in achieving U.S. strategic objectives and actually save money for the U.S. taxpayers. 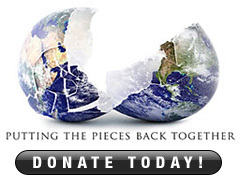 Orr specifically pointed to U.N. peacekeeping operations, explaining that if the United Nation were not in many areas of the world, the burden would fall on the United States costing both human and financial resources. 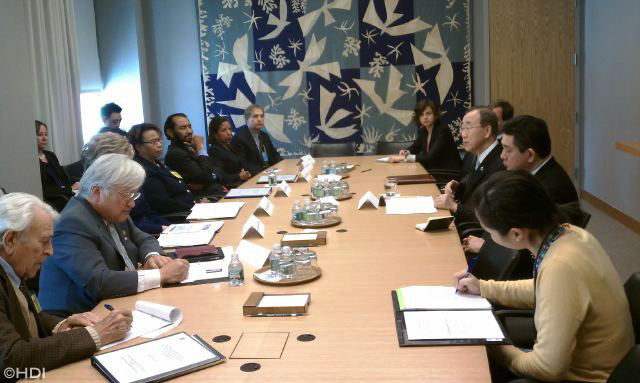 The delegation was then escorted to the private offices of U.N. Secretary General Ban Ki-moon. The Secretary General expressed his personal gratitude for the work and interest of the Caucus, noting that he was from an Asian country, and as former Foreign Minister of Korea has been intimately involved in Asian affairs his entire career. The Members and the Secretary General then had a wide ranging discussion covering a variety of issues, including the current situation in North Africa with a special focus on the coalition activity in Libya. There was also considerable discussion about the precedential nature of the U.N. action. The final briefing of the day was conducted by Mr. Ajay Chibber, the Regional Director for Asia and the Pacific of the United Nations Development Programme . Mr. Chibber was accompanied by several members of his staff who answered a variety of questions on economic and social development in Asia. They explained how UNDP is contributing to the advancement of women in the economic sphere throughout Asia and how successes in Asia are being used as models throughout the world. Mr. Chibber pointed to the work UNDP has done in addressing HIV/AIDS among women in Southeast Asia and the successes in reducing new infections. The Members of Congress ended their day with a private working lunch hosted by U.S. Ambassador Susan Rice to the United Nations, held at her official Residence at the Waldorf Astoria. This private lunch allowed the Ambassador to speak frankly about U.S. priorities and concerns at the United Nations, and allowed the Members of Congress to appreciate U.S. strategic goals in the United Nations and will give them a firmer base as they take up U.N. legislation in the 112th Congress. This legislation includes U.S. participation in U.N. peacekeeping missions as well as the level of U.S. funding for the United Nations.